chrome oxide is a green crystal powder, metal luster, magnetic, good covering strength, high temperature-resisting and sunlight fastness. Not soluble in water, barely soluble in acids, comparatively stable in air, unaffected by acids and alkalis of common density, sulfur dioxide, sulfur hydrogen etc. Chrome oxide green enjoys excellent quality and firmness of coloring. Chromium oxide is an inorganic compound used in ceramics as a green colorant. Its chemical formula is cr2o3, and it is available in powdered form. In addition to its use as a colorant in ceramics, chromium oxide is also used in paints, inks and glasses. It is a versatile chemical, known for its use in producing green tints in glazes. Chrome produces a wide range of greens, from a transparent glossy lime green to the more iconic, opaque, satin kelly green. The strong green color can often be modified by very small amounts of other oxides, like cobalt oxide, copper oxide, iron oxide, manganese dioxide, rutile, tin oxide, etc. 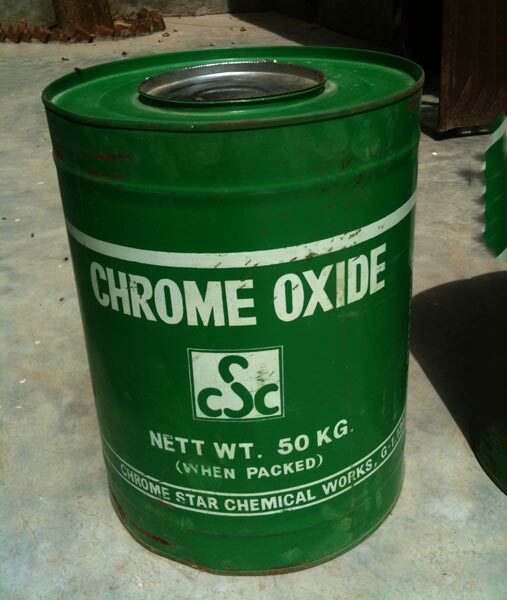 Chrome oxide can yield a variety of colors: red, yellow, pink, brown, and especially green. It is also used in black glazes and stains to give a strong, true black color. Looking for Chromium Oxide Ceramic?